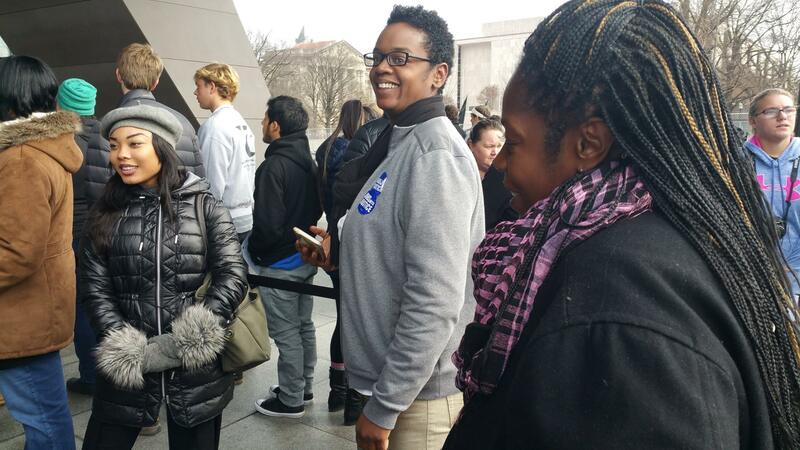 This post is third in a series about the Jobs With Justice network and the broader labor movement fight for racial justice. You can find the first two posts here and here. The death of 17-year-old Trayvon Martin in 2012 sparked a conversation about racial justice nationwide. Central Florida Jobs With Justice’s offices are located just a short drive away from the neighborhood that Trayvon was walking through when he was shot. We talked with Jonathan Alingu, an organizer for Central Florida Jobs With Justice about how his coalition has taken up the fight for racial justice, as well as the challenges that lie ahead for black men and women in Florida. What does it mean for you to connect your work to racial justice? Doing racial justice work means a lot to us, since our staff is all people of color. It’s always a challenge here in the South to do that kind of work, and there are a lot of things you have to break through compared to other parts of the country. Lots of members of our coalition and executive committee are people of color, and we hear where they personally are coming from. Listening is the only thing you can do—you can’t act without knowing what people are thinking about these things, even when you get some pushback. You’ve got to actually engage the room, and not make it a lecture. We try to do that every day in our work, but subtly and overtly. Can you tell me about JWJ Central Florida’s work on racial justice? Last year with Mike Brown and Tamir Rice and Eric Garner, those were real moments for us to define ourselves. 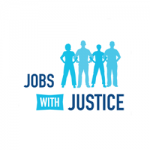 We had to ask how Jobs With Justice fit into that conversation. We started to take a more behind-the-scenes and strategy role. When this kind of stuff happens, people have a lot of energy, and we have to figure out how to translate that. We’ve been supporting people in their organizing, too. One of our coalition members created a racial justice committee, since there have been a couple of instances of police brutality here. They’ve been trying to get body cameras for police officers and organize communities that are primarily black in Orlando. We’ve provided strategy and training to those committee members to help them achieve their goals. How has Trayvon Martin’s death so close to home shaped your work? We weren’t officially engaged in the work around Trayvon as Jobs With Justice, but we were definitely there in the heat of the moment and were plugged into those actions. Much like what we do now with the behind-the-scenes work, we were steering people toward doing or not doing things. That’s the role we play—not in a patronizing way, but one that’s uplifting—for the people who want to continue to have this focus in their organizing. But that incident changed a lot. Before, a lot of people weren’t forced to address retaliation by police, or how segregated and racialized things are in Orlando and in the South. I think that naturally made it a little easier to talk about that kind of stuff with local organizations, no matter where they are, and has changed the conversation around race. It used to be that people didn’t talk about it. How has the Florida labor movement incorporated racial justice into its demands? What do you think needs to be done to further that work? Here in Florida, it’s been really important for the labor and racial justice movements to be connected. In Orlando, and especially in Tampa, the Fight for $15 movement has really engaged the Black Lives Matter movement and other organizations that do racial justice work—and doing so has helped to grow their movement. They’re engaging in social and political ways too. There was just a town hall meeting that brought together lots of political leaders to address the needs of these people. By honing into this kind of work, you find that the Black Lives Matter movement isn’t about just police brutality; it’s about every part of our lives. In Florida, a lot of people in the labor world are doing racial justice work already, since the majority of members of locals are people of color. 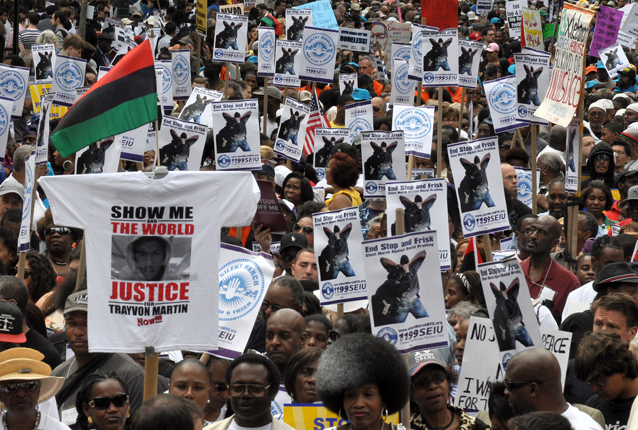 How has the Black Lives Matter movement impacted the labor movement? I think it’s forced the labor movement as a whole to address things that have been lingering historically in terms of Black lives. Here in the South, people of color have been historically segregated from construction jobs. I mention that because when contracts are given out, people of color are traditionally on the bottom of the totem pole for receiving these jobs. All people need to be considered for those positions. At least here in Central Florida, they’re trying to address that and engage with communities of color. Black Lives Matter has made people in labor shift the conversation and speak more openly about these issues. I remember going to an AFL-CIO summit in Nashville and hearing them talk about immigration. A few years ago, I would never have thought that would happen. The fact that all that’s going on has made the labor movement address these issues is one of the best things to have come from all of this. And I think it will only continue to change for the better. What kind of racial justice work do you have coming up? We have lots of allies that we’re connected to in Miami, where there’s a huge mixed-use community called the Miami World Center being built with houses and hotels. That’s an example of an area being gentrified, that’s historically black. So we’re engaging with local partners who are trying to encourage the city commission to hire locally and ensure that people of color have jobs and aren’t just being pushed out. What will also be telling is our 2015 mayoral election. With the cases that have happened here in Orlando, we’ve seen more than just one case of police brutality. It’s really put pressure on the mayor to address police brutality and violence, and so we’re going to put more pressure on that too to try and help. We also know that the immigrant community here is living with police brutality, and undocumented immigrants living in fear is a major issue here. We need to build a bridge with the Latino community in Florida as well. We know that to build trust with folks around us, we need to hold true to our name and our values. We want to create an atmosphere where we can call people on their biases and ignorances in a way that won’t keep people from being involved. We’re going to keep plugging into other organizations who are trying to make it so that people of color are recognized and communities aren’t destroyed. Do you have any advice for other locals or unions that want to work more deeply on racial justice issues? 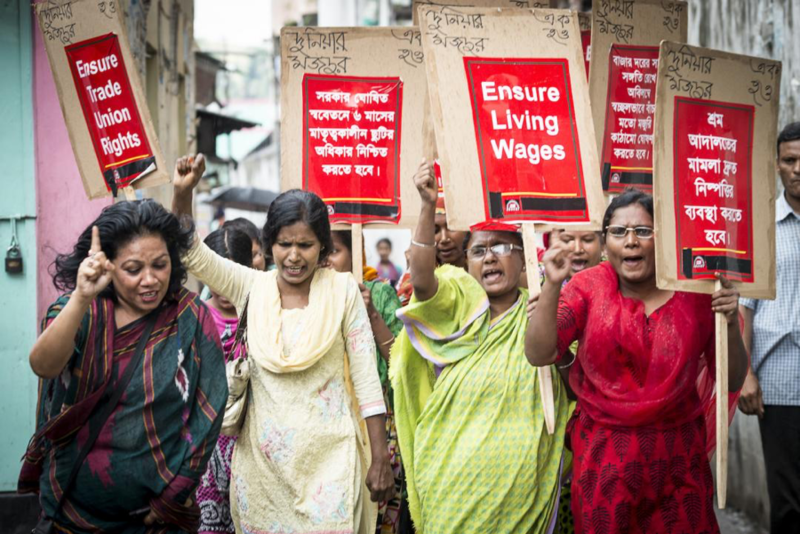 I think if your coalition or organization is passionate about worker rights, there’s a clear connection for you to racial justice issues. It’ll take time, it won’t be easy, and there are forces that are designed to divide us. But being able to have those conversations and also acknowledge where you might be wrong are important. Once you create an open channel of communication, you can understand how you can be utilized in a movement that desperately needs you, especially in the South where workers are largely people of color. You’ve got to reflect, first and foremost, understand where you are in the movement, and engage with people who are already doing this work. You don’t necessarily need to be in the forefront, but you can at least connect with organizations that have something in common and want to do work through a racial justice lens.